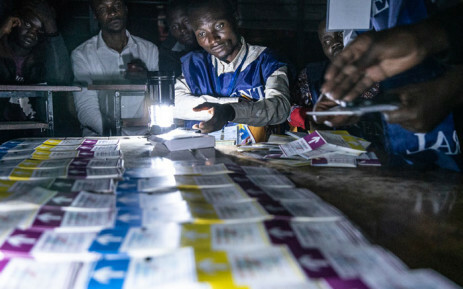 KINSHASA – Ballot counting is underway in Sunday’s long-delayed presidential election in the Democratic Republic of Congo that could mark the country’s first peaceful transition of power after nearly six decades of independence. The vote was marred by disorganization at many polling stations, including missing voter rolls and malfunctioning electronic voting machines that pushed the vote well into nighttime hours, forcing election officials to conduct their activities by flashlight. An election observer mission set up by the Catholic Church said it had received at least 544 reports of malfunctioning voting machines. Violence also overshadowed Sunday’s vote, with four people killed in eastern South Kivu, including a police officer and an election official, over accusations of voter fraud, according to Voice of America. Sunday’s voting was initially scheduled for December 23, but was postponed by a week because of a warehouse fire in the capital Kinshasha earlier this month that destroyed thousands of voting machines. Election officials also decided to postpone the vote in the Ebola-stricken eastern cities of Beni and Butembo, and the western city of Yumbi, which has been plagued by ethnic violence, until March, affecting more than 1 million voters in those cities.